Korean products needless to say work like magic(trust me they are worth the hype ) and their packaging game is so on point nevertheless! 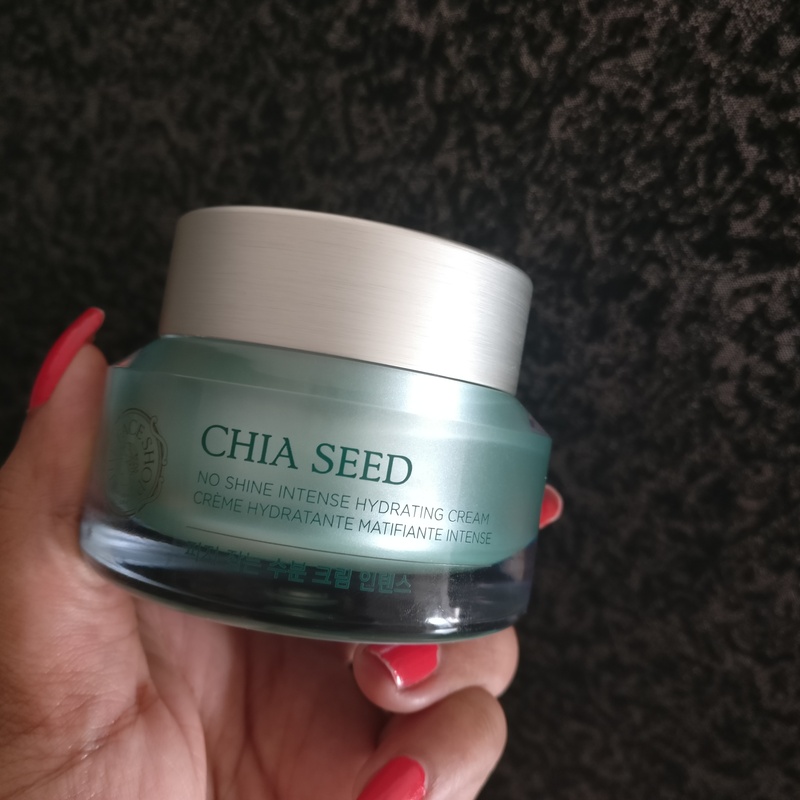 I am going a little crazy lately with so many new launches and the face shop chia seed no shine moisturizer is my absolute favorite,its safe to say that I am obsessed with this baby. Uses GMO free chia seed. Right from the packaging to the formulation, this little jar is sheer L O V E. It comes in a double wall jar, transparent on the outside with a light metallic green layer on the inside while the silver matte cap adds to its premium packaging. I am a sucker for details and the lid has a little heart shaped carved out to pull it up which is something not every brand comes up with. Wait ,we are not done yet..it also has a plastic spatula to scoop out the product which means no dunking in/no mess = Happy me! This is suitable for all skin types and is perfect with the crazy confusing humid weather going on! I can recommend this at the top of my voice without a doubt. It is a little pricey but guess what Nykaa had an amazing offer of 30% off on the face shop products currently So hurry up and order yours now! Tippani 101 : Try patting the product into your skin rather than massaging it,you will see the difference for yourself!